A levels: Geology, Business Studies, English Language. What exactly does an Assistant Keeper of Natural History do? The Assistant Keeper of Natural History works behind the scenes at a museum with the natural history collections. These collections include specimens from zoology, geology and botany. 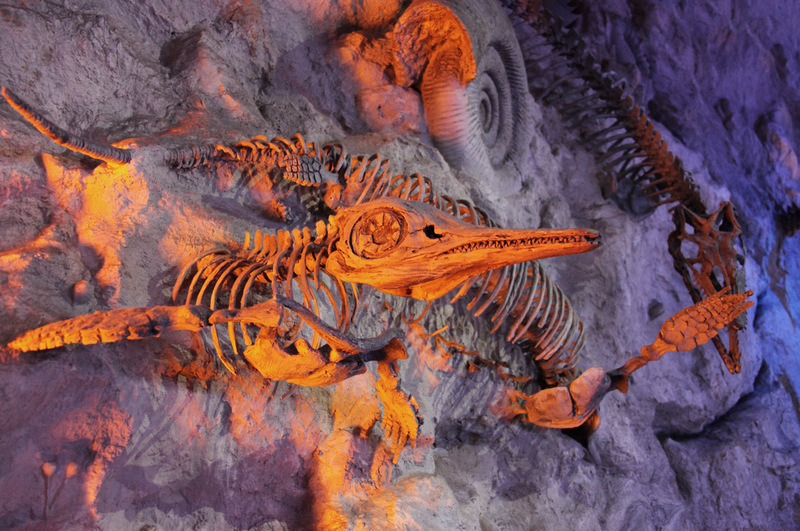 (Bigger museums may have separate curators for zoology, geology and botany). Because the job is so varied and involves working closely with the collections, with other departments and with the public, you need to adapt to different situations very quickly. Working with the collections requires concentration, and the willingness to continue to learn new things. Working with other departments and creating exhibitions requires excellent communication skills. Working closely with members of the public (talks, school sessions and weekend activities) needs good communications skills, awareness and enthusiasm. A small city museum. The local authority (council) employs museum staff. If this wasn’t your first job after your studies, what did you do inbetween? I volunteered for a year in the Natural History Museum in London, whilst working in a bar in the evening. I then moved to Bristol and volunteered at Bristol City Museum and Art Gallery in the Geology and Biology Departments for a year and a half, whilst also working on an IT Helpdesk! We do get to travel around the UK to visit other museums fairly often, at least twice a year with conferences. This is a fantastic way of seeing how different museums display their exhibitions and store their collections. It is the best way to get new ideas for the museum you work in. It is also a great way to meet other people who work in museums as well as sharing problems and solutions too. Do you work a regular length day/week or are shifts involved? We work a regular week. Often, one Saturday a month is used for events and activities in or out of the museum. It is the best job in the world! We are paid to take care of natural history collections, research for exhibitions, create activities for schools and members of the public and work closely with university societies to promote natural history! Every day is different and every single day is fun. We get paid to be geeks!! What advice or extra information do you wish you’d had before starting this career? My advice is to volunteer. This is the best experience you can have and the best way to see what goes on in museums and how they work. Also, be patient. Museum jobs in Natural History only come up about three times a year, so patience is needed! The ideal thing to do is to get a job doing anything, and then arrange for volunteer work in your nearest museum. What position would you like to hold in 5 years time?